WE’RE HERE TO DISRUPT THE INDUSTRY OF DIGITAL MARKETING EDUCATION ACROSS THE WORLD AND CREATE A LEGION OF MARKETING GURUS. At a time of great uncertainty for industry upon industry and the world itself, we gather the founders and CEOs of technology companies, fast-growing start-ups, the movers and shakers to ask a simple question: What’s working now and where to next? We’ll be joined by International Speakers, world class leaders in their respective fields, the most promising new start-ups, influential investors and leading journalists. We live in uncertain times for tech and business. At RIZE 2019 we welcome the people who are tackling the big challenges facing industry today. 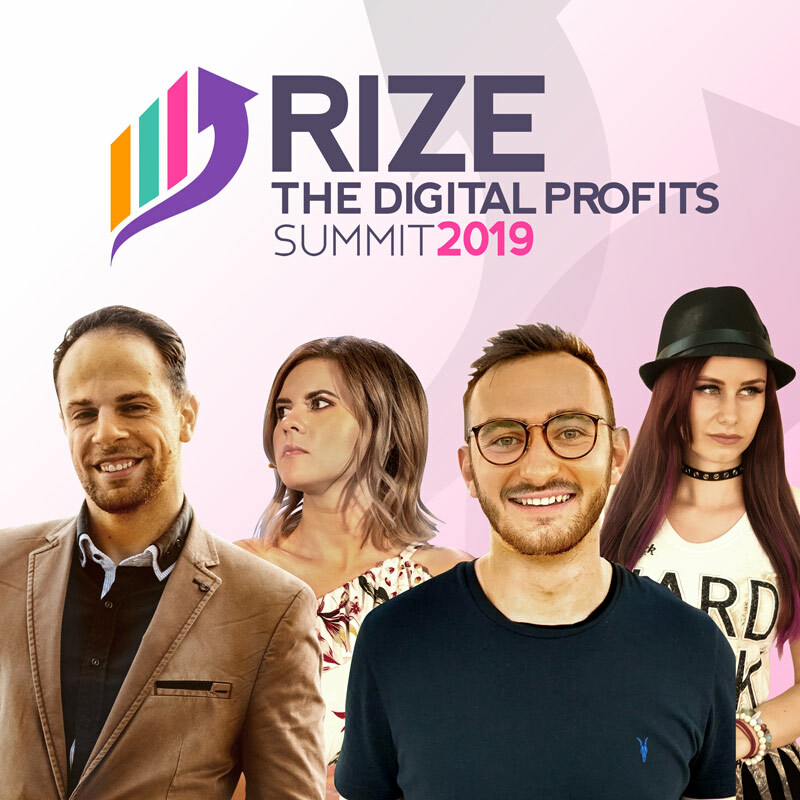 The Digital Profit summit is not just your typical summit, our main focus is quality and to give everyone the experience of a lifetime, what this means is that it attracts top quality journalists, influencers and businesses from all around and gives you the opportunity to potentially increase your exposure exponentially. Latest Tech: How to Sustainably and predictably Grow, Scale and Automate processes such as: the latest lead generation methods, conversion tactics, follow up and customer retention strategies. The neuroscience behind viral branding: How to create a raving fan base that will go out and fight your battles for you with the haters. The Art of the ultimate sales Pitch: How to sell without selling, the invisible pitch that makes customers want to buy your products without sounding‘salesy’. In the event of an event being canceled, postponed or unsatisfactory, or in the event that Buyer is not allowed to watch the event for any reason, SHOWSHAPPENING cannot be held responsible for any liability including any costs whatsoever incurred by the Buyer in connection with the said event.